The first K-drama I will suggest is the popular “Descendants of the Sun”, with Song Joong-ki and Song Hye-kyo as the leading couple and Jin Gooand Kim Ji-won as the secondary couple. It has 16 episodes. Plot: This script revolves around a group of doctors stationed in the fictional war zone of Urk (Uruk), and follows the love story that develops between a surgeon (Kang Mo-yeon) and a special forces officer (Yoo Shi-jin), both elite in their respective fields. The story will track both their personal and professional struggles while exploring issues about the value of life. I don’t believe that there is one of us who didn’t watch at least one episode of this series. It features beautiful landscapes particularly in the Greek islands of Zakynthos and Lemnos and in Arahova. I feel the summer through those magic places, as I become bewitched by their beauty. The acting is great but the story has its ups and downs. There are some parts I said wow and some that bored me a little, due to the excessive dialogue. I cannot say, though, I did not like it. 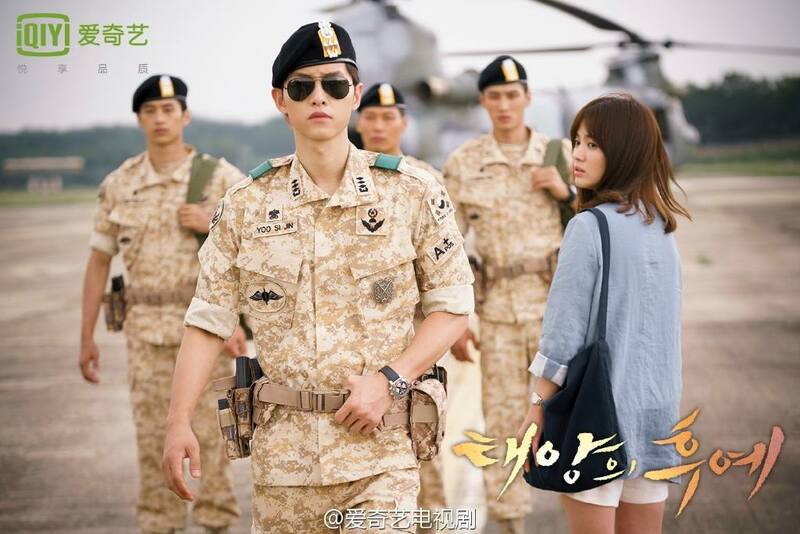 “Descendants of the Sun” premiered on 2016 and it has a huge success. The second drama I suggest is “Heaundeu Lovers”, with Kim Kang-woo, Nam Gyuri and Jo Yeo Jung. It has 16 episodes. Plot: A romantic comedy that features a public prosecutor who goes undercover to infiltrate a crime family in Haeundae, Busan, then gets into an accident and loses his memory. He then becomes embroiled in a love affair with the daughter of an organized crime ring boss. After he recovers his memory, he finds himself in a dilemma: He has to decide whether he will deny his love and let his lover end up in prison, or he will leave his job and live with her, as a member of a crime ring. Beautiful scenery from Busan combining sea, love, laughter and a bit of action and summer in the package of one. Very nice K-drama with a good plot and good actors. It premiered on 2012. The third K-drama is “Tamra, the Island” and it has 16 episodes. It premiered on 2009 and it is the drama which the French actor Pierre Deporte landing with a leading role alongside Seo Woo and Lim Ju-Hwan. Plot: The drama is based on a manhwa with the same title. The story is set in 17th-century Joseon, where a a young English castaway, William, comes to the island and meets Jang Beo Jin, Park Kyu, and Yan. The name "Tamra" refers to what is now called Jeju. This drama gives us a glimpse of the beautiful island of Jeju. It is a nice drama with a just adequate plot. You love to watch it because of the scenery and because it definitely smells of summer. The fourth K-drama is “One Fine Day” with Gong Yoo, Sung Yuri, Nam Goong-min and Lee Yeon-hee and and it has 16 episodes, too. It premiered on 2006. Plot: Although not related by blood, Seo Gun (Gong Yoo) and Seo Ha-neul (Sung Yu-ri) are legally siblings after the marriage of Gun's father and Ha-neul's mother. But after the deaths of their parents, the siblings are sent to an orphanage where they tearfully part once they get adopted into different families. The shooting was in Australia and surely it smells summer. It is a nice story with great actors and good plot. “Let’s Go to the Beach” is a totally summer- K-drama as its protagonists are lifeguards. It is a quite nice drama with Lee Wan and Lee Chung-ah to be the leading couple in a 14-episode K-drama of 2005. Watch it. .
“What happened in Bali” is a 2004 production shot in Indonesia, which gives the opportunity to admire the beautiful beaches of Bali. Plot: Lee Soo-jung is a travel agent who is seeking her good luck in Bali, after a harsh and unforgiving childhood. She meets Jae-min, Kang In-wook, and Young-joo there, three seemingly perfect people entangled in a triangle of love. When Lee Soo-jung finds herself back in Seoul, her desire for success leads her to seek Jae-min for a job, unwillingly setting off a course of events that further complicate the love triangle. What Happened in Bali is a drama that reveals the inner materialistic desires of people. It reflects upon the sometimes ugly (but truthful) side of man where nothing matters more than money. It is a melo romance K-drama which gives us a sad taste of a melancholic and romantic summer through 20 episodes. Leading actors are So Ji-sub, Ha Ji-won and Jo In-sung. Action and love are the main elements of the 2010 drama, “A Man Called God”, which includes shootings in Hawaii at the first of its 24. The drama is really great and Song Il-guk is great in his role. The scenery is great and you can be bewitched by the summer scenery. Han Chae-young, Kim Min-jong and Bo Bae are also good in their roles. This drama gives you the feeling of a summer / autumn season, as we can feel the sea wind and a relaxing cool air through love, sadness and nostalgia in its 16 episodes.